Why Did You Decide to Become a Prosthodontist? Dr. Feit has always enjoyed helping people and relieving pain through both physical and emotional avenues. From a young age, he was also very talented with his hands and had smooth dexterity, which translated well to a lifelong love for restoring old cars. His childhood dentist shared the same interest, and they developed a strong mutual respect and friendship over time. While attending college, Dr. Feit completed a cancer research internship at Columbia Presbyterian Medical Center, but he quickly realized that this was the path he desired to continue down in life. Simply put, he just didn’t enjoy hospital life and everything that went along with it. At this point, he was halfway through his college career and ended up visiting his dentist, who was currently a part-time professor at the local dental school near where he grew up. He brought him into the lab in his office and asked him to complete a sculpting project that freshman dental students would work on to pass into their second year of dental school. After Dr. Feit completed the project, his dentist was excited by how well he did and encouraged him to stay on the path of helping people and relieving pain and dysfunction through dental work. After that life-changing event, Dr. Feit applied to dental school and was able to enter a combined program and earn his college degree after the successful completion of his first year of dental school. And that very same dentist who’d cared for him all his life? He’s now Dr. Feit’s patient! He has been very lucky to have several mentors over the course of his life, but his dentist is a special one for sure who was there for him when he needed him most. Dr. Feit completed a 7 year accelerated combined program, first earning his Bachelor of Science from Muhlenberg College and then his Doctor of Dental Medicine from New Jersey Dental School. 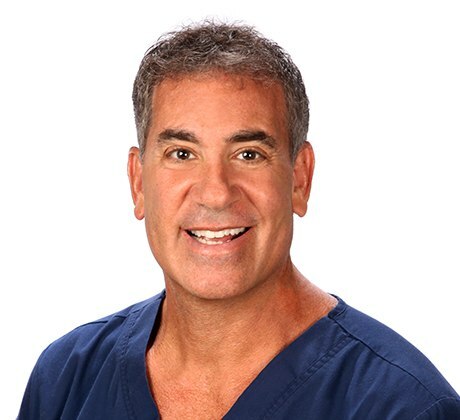 He completed his CAGS (Certificate of Advanced Graduate Study) in Prosthodontics in 1987 from the Goldman School of Graduate Dentistry at Boston University. He is currently conducting research with other specialists regarding the natural bite and how it relates to muscles and jaw joints. He and his colleagues want to better understand leverage forces as they relate to tooth position, and they have discovered key anatomical relationships that enable a dramatically higher degree of accuracy and efficiency in all aspects of his dental procedures! He has been honored to lecture on some of the most prestigious stages at international symposiums regarding their findings. What is Your Life Like Outside of the Dental Office? Dr. Feit has one younger brother and two younger sisters. He married his wife and soulmate Traci in 1994, and they enjoy their four kids very much, all of whom were born right here in Boca Raton and LOVE sports. He even coached for some of their teams in the past. Throughout the years, they’ve played soccer, tennis, golf, baseball, martial arts, basketball, track, and tennis, to name a few. Their oldest, Jamie, recently graduated from Arizona State University, while their second oldest Cole is nearing graduation at the same university in May of 2019. The third-born, Kyle, is currently a freshman at Arizona State University and is currently on the basketball team, playing for Coach Bobby Hurley. The youngest, Blake, is a senior in high school and his search for the perfect school is just beginning! As for Dr. Feit’s own personal hobbies, he has been involved with martial arts training from a young age, particularly Krav Maga. He enjoys the discipline and being able to stay in peak shape. He also loves playing sports – baseball has always been his favorite. In fact, he got an offer to attend the Instructional League for the Minnesota Twins and Chicago Cubs by scouts in 1989. He was a pitcher and infielder at the time, and the scouts were visiting to watch another player but noticed that he had a great game. Other beloved sports include water skiing, snow skiing, and swimming. Over the years, Dr. Feit has also restored dozens of old cars. He used to have a lift in his garage and could work on them at home in his spare time. The mechanics of cars actually translated into an enhanced understanding of the mechanics and biomechanics of implant dentistry! He also enjoys doing dentistry for charitable organizations, helping those who would otherwise never be able to experience the level of care and treatment he and his team provide.